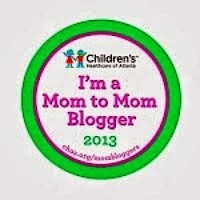 Children's Healthcare of Atlanta is a hospital that understands that happy kids heal faster. On Monday, December 2, a team of employees went on a secret mission to bring a surprise winter wonderland for their patients, families and staff. They teamed up with a special effects company that works with Disney to create a secret snowfall. 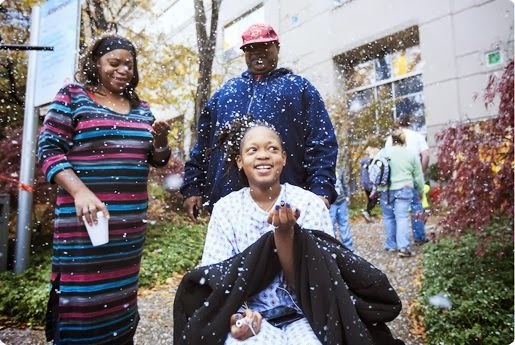 The "snow" started to fall at three hospitals simultaneously. 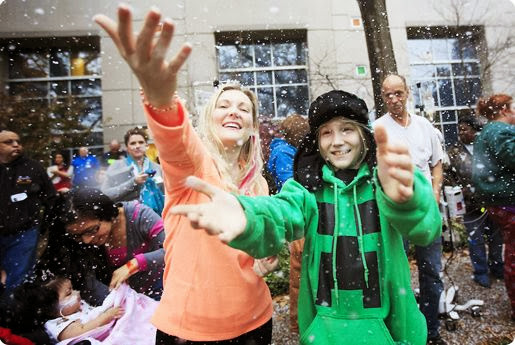 Happiness immediately erupted and patients giggled in the flurries, while others marveled at the magic through their window. On a 57-degree day in a city that rarely sees snow in its weather forecast, dozens of kids—many of them tethered to I.V. 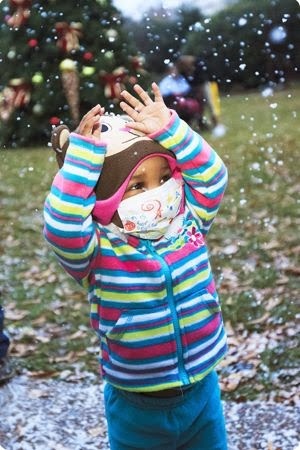 poles and wearing surgical masks—caught their first snowflakes, made their first snow angels and, for a few brief minutes, traded the title of "patient" for "kid." 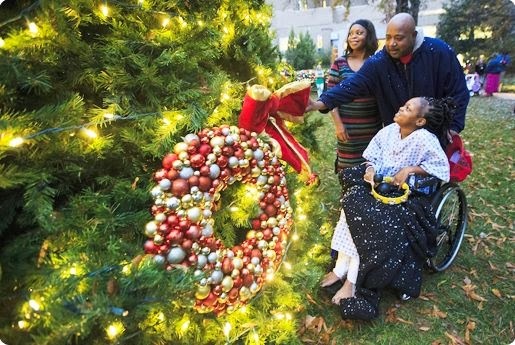 Children's Healthcare of Atlanta understands that small things can have a big impact and believes that every child deserves to experience the magic and wonder of the holidays, especially if they have to be in the hospital this time of year.